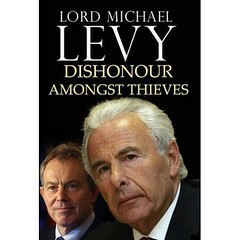 Political and business memoirs like to have a flavour of the character or their political ideals contained within the title. President Obama's Audacity of Hope for instance. The ever dull John Major couldn't even manage a book title. -John Major - The auto biography. thrilling! This weeks game is to devise more realistic titles for memoirs. "Roman Catholic, Roamin' the World". Tony Benn "I'm all right, Jack"
Ann Widdecombe "I'm all right, Jill"
Prezza: "I'm, all right, Jack"
John Major: "Just remind me, who was John Major?" David Owen: "I'm all right, Jock"
Tony Blair: "I'm all right, Jack P Morgan"
Cherie Blair: "Y'all right, Jack?" Presclott - Pie in the Sky: the Anorexic's View. Presclott - Chippy in China. Gordon Bruin - Feel the Honesty and Fake It Anyway. Michael Martin - Feel the Cash and Take It Anyway. George Galloway - The Jewish Handbook. John Bercow - Sally's Alley, and Other Well Known Places. George Osborne - Counting for Dummies. Edward Heath - Everyone loves a sailor except the Tory party. Tony Benn - On the re cord. Gordon Brown - I saved the world and other fairy stories. Achieving the Dream: Irreversable Distruction of the Middle Classes, G. Brown. I'm sure Britain's printer extraordinaire could manage three volumes. Gordon Brown - How I saved the Wuld following the Globbal Bonking Crisuss. Commissioner Ian Blair - "I was Only Following Orders." Fred Goodwin - "Laughing all the way from the bank." Bob Crow - "No Deal or No Deal." I vote for Cliff Hanger's "Peter Mandelson - Machiavelli's 'The Ponce.'" All my life on tape. Apart from the truth. Transform yourself into a revered world leader in 7 steps. Lakelander's world renowned photoshops of Prescott. Cliff Hanger's "Peter Mandelson - Machiavelli's 'The Ponce.'" And John M Ward's "Whelan and Dealin'". 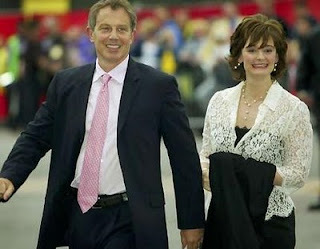 Blair: Offshore And Proud Of It. Cherie: Speke Off (this is a strictly scouse joke). Prescott: Pulling My Pud With Pauline. Or Obama's sequel - Sheer Bloody Audacity. Tony Blair: Naked non-stick ambition. Edward Heath: Women - I think we're allowed to make a judgement. 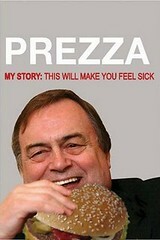 John Prescott: shoulders and chips. 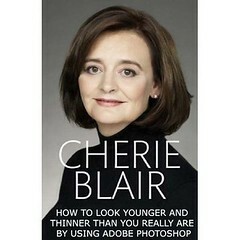 Cherie Blair: Fat arse and a fat trap. Gordon Brown: saving the world. Micheal Martin: A sense of entitlement. 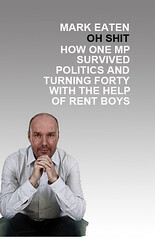 Tim Loughton: Media and political whoring 101.